FNC Group convened a three days international conference at Hong Kong On 15-17 June, 2012 at Harbour Grand hotel. The conference was designed to bring together the like-minded people from freight forwarding and logistic companies for discussions and to explore new business opportunities under FNC Group. The conference was structured in to different segments. This ambitious conference organized by FNC Group is to create significant relationship among the delegates. First let me thank all speakers, sponsors, FNC Group members and observers for their contributions and are convinced that the results of this event showed the progress made since last conference and are an important milestone in the progress of the total group. We started the cocktail around 19.00 hours and most of the delegates were present. Some were unable to make it because of their flight delay and other important reasons. It was a nice evening and found all members in good chat and toast. It was happy moments to see all our old friends and new faces. We had a small magazine inauguration ceremony that evening.FNC published a event magazine. The magazine contained the interviews given by few of our group members, companies’ advertisements, members’ directory and meeting agenda. In future we plan to publish the magazine both online as well as printed edition. Let me also take the gratitude to thank the below companies who helped us to release the magazine in a wonderful way and for their contribution towards advertisements. We also thank Mr.Moses Maboi from Katlego Global Logistics (Pty) Ltd/South Africa, Dr.George Potoczki/Pozax Vamsped Ltd/Hungary,Mr.Stephan Berndt/Sis Internationale Speditions GmbH/gERMANY,Mr.Burak Atalay / Caretta international Freight Forwarding Co.Ltd/Turkey for their exclusive interview given to FNC Group Magazine. The meeting started around 10.10 a.m with a welcome speech and Mr.John/FNC Group President officially opened the meeting and showed few slides which contained the formation of FNC Group, our strengths, activities, tools and future plans. Let me thank Dr.George Potoczki for his vibrant accomplishment towards FNC Group and its growth.Dr.George spoke about the “How we can manage some of our Professional Challenges?” in a PowerPoint presentation. It was a useful element to listen and follow to have a safe environment. The speech concluded by Mr. Moses Maboi speaking on “Emerging Africa” in a PowerPoint presentation. He described the growth and resources in African continents and the business opportunities that can be derived from these sectors. The two speakers gave their best in time and were expertise the success of our conference. We had a break to freshen up and had a cheerful photo session and continued to the next segment. This new segment started with company presentation by individual organizations and allowed to talk by introducing themselves and their company. It was a pleasure calling each company to the stage and we wanted to showcase each company as very important to all by bringing them to the podium. I thank all the companies for their patience and kindness to come forward to say few words about their organizations. We had a Lunch break between 1.10 till 2.00 p.m.
One2one session started immediately after the lunch break. All the delegates were busy with their pre-scheduled one2one meetings. The one2one session was completed by 5.00 p.m and we requested all the delegates to assemble in the hotel lobby at 6.45 p.m for a group dinner to Jumbo Kingdom - a floating restaurant. There were two coaches arranged and we divided in to two groups and took the coach to reach Jumbo Kingdom. We have to get down on the roadside and take a ferry to reach the restaurant. It was a great experience and I hope all the delegates enjoyed their evening in a nice atmosphere. The second day started with one2one session and everyone was busy interacting with their partners. There was a usual tea-coffee break in the morning and evening sessions. At 1.00 p.m we had a group lunch break. At 2.00 P.m we had an award ceremony and conference closing ceremony. FNC wanted to thank our sponsors, best supporting award, excellence award, and recognition award winners. We selected few companies who were our continuous supporters in the past years and doing well in the group. We wanted to pen down each company name as below and we wish to give more awards and rewards to more and more FNC Companies for their future accomplishments. Mr.Burak Atalay was one of our sponsors in the 8th international conference and was supporting the group since his enrollment in the group from last year Singapore conference. Mr.Burak Atalay received the Platinum Award from Mr.John/FNC Group President. Cargosmart is a software vendor for logistic and freight forwarding industry. 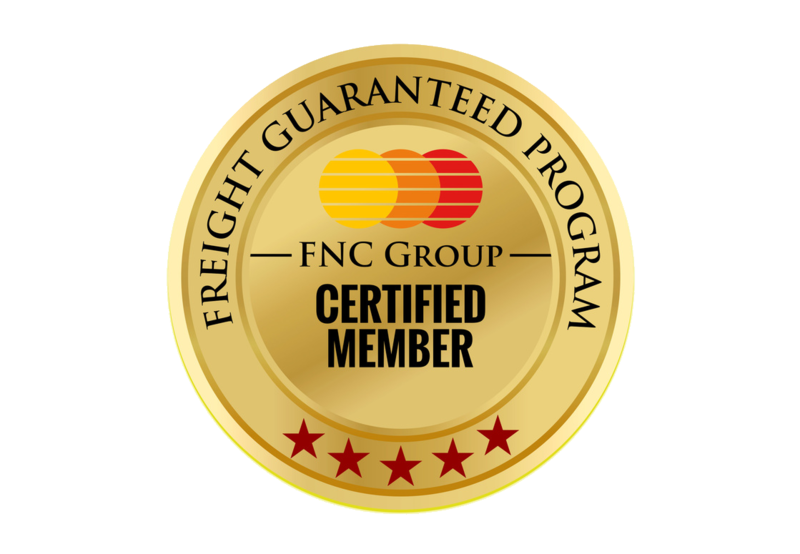 Cargosmart was the first time participant in FNC Conference and made their volunteer sponsorship and involved in the conference with Great will. Mr.Philip Fung and Mr.Dominic Lam received the award from Mr. Rhouddou Brahim. Embassy Ship is the founder member of FNC Group and is supporting the group highly from their enrollment date. Thanks to Mr.Vinod for his support and active participation in the conference and Mr.Vinod Received the award from Mr.Moses Maboi. Katlego is the founder member of FNC Group and a immense supporter of the group since his enrollment in FNC Group.He also does some volunteer works to the group and Special Recognition Award was given by Mr.John Lenzo to Mr.Moses Maboi. Dr.George Patoczki is known very well to our group members.A wonderful person with full of passion towards the group and he ensures that each year our group grows and members get benefited. Special Recognition award was given to Dr.George Patoczki by Mr.John Lenzo. SIS is extending their support since our Geneva conference and their presence is always an encouragement to the group.The company recently celebrated their 25 years of success.Mr.Sebastian Theis received the award from Rhouddou Brahim. C8 Freightworks was our Australian member and recently included their membership for their New Zealand office too. The excellence award was given to Mr.John Lenzo by Mr.Sasi Dharan. Mr.Mian Nadeem Shakur was unavailable in the conference due to visa issues. Global Navigation is also in the completion stage to enroll their Pakistan Office in FNC Group.We are dispatching the Award to Mr.Mian’s office very soon. Dono Freight is continuously supporting the group by their aggressive presence in FNC group conferences in Geneva and now in Hong Kong as well.Mr.Sasi Dharan received the award of Best Supporter from Mr.Oktav Gurkanli & Mr.Oguzhan Kirkpinar. Ms.Mary Ann and Ms.Remily M.Marbid were actively participating in the conference. Ms.Mary Ann received the Best supporter award from Mr.Burak Atalay. Groupe Cat is an active member in FNC Group and representing our Geneva and Hong Kong conferences.Mr.Garcia Jose Manuel received the award from Mr.Burak Atalay. With a positive note from our delegates FNC Group successfully concluded its 8th International Conference at Hong Kong. Each conference is a milestone and enhances the growth of the future FNC. The admin office is working with few of our members and will confirm the next FNC international conference venue in the coming days. We are planning our next conference during Feb/March 2013. Please note we have up loaded the conference photos in FNC Group homepage. Thank you and wish to meet you again.